Acid reflux is an annoying experience. It usually happens when you’ve had a heavy or a spicy meal. It is OK to have acid reflux once in a while, because some of the spicy foods we eat and what we do right after eating highly affect its occurrence. But if you get acid reflux two or more times per week, then you probably have Gastroesophageal Reflux Disease also called as GERD. As the name suggests it is the return of acid from your stomach and digestive tract causing it to come back to your oesophagus. This usually happens when the lower oesophageal sphincter (LES) does not close after food has passed through. LES is present at the entrance of your stomach and its function is to act like a valve and close as soon as food passes through. Sometimes, due to various reasons (discussed later), LES won’t close fully causing the acid produced in the stomach to return up. When this happens, you will have a heartburning sensation and/or mild pressure/discomfort over chest and upper abdominal area. You might also sense acid backing up into your throat. 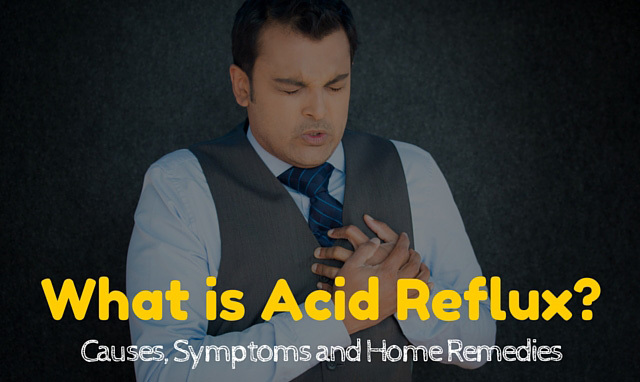 Before we move on to discuss the symptoms of acid reflux, let’s see what causes it. After all if we know its cause, we can do our best to avoid it from happening. Consuming foods high in fats can cause acid reflux. In particular, if you consume too much of such food, be prepared for some discomfort. Carbonated drinks can kindle acid reflux. Some people prefer to have carbonated drinks if they have heartburn (usually after a heavy meal). This is so wrong since this will only worsen the effect. Too much caffeine will initiate acid reflux. Or if you have been already experiencing mild acid reflux, having coffee will make it worse. If you are overweight, you are prone to get acid reflux more often. This is because of the excessive pressure over the stomach and diaphragm and can weaken the valve (LES). If you are pregnant, you will face this issue quite often throughout your pregnancy, because your growing uterus will put pressure on your stomach and diaphragm. Acid reflux that occurs during pregnancy usually goes away after childbirth. If you are someone who goes to bed immediately after a meal, you will have to change that habit. When you are up, gravity helps keep the acids in the stomach. But if you lay down, the chances that the stomach acids will make a bad return on to the top are much higher. So you should wait at least an hour or two before going to bed after a meal. The major symptom is discomfort and a burning sensation that spreads on top of stomach and to chest. Some times mild chest pain can occur. If this happens, you should call your doctor to confirm that you are not having a heart attack. The next common symptom is acidic fluid backing up your throat, and frequent burps! You could be bloated because of acid reflux. You might also have aversion for certain types of foods; this is a good thing since this is body’s way of self correcting – by stopping you from eating more. Nausea is yet another common symptom of acid reflux. You might also pass blood in stools, or your stools might turn black. You might pass blood in vomit. You might also find this strange sensation where you feel that something (solid, like food) is stuck up in your throat. While there may be some over the counter medications available for acid reflux, I always prefer to go for home remedies. Why? Because they don’t have harsh side effects and they are much better than chemicals and synthesised stuff. This is my #1 remedy for acid reflux. You can either opt for ginger tea or make a concoction. 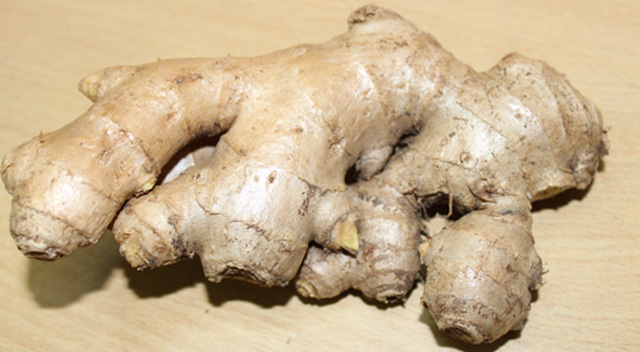 Remove the skin of a small piece of Ginger, cut it into tiny pieces. Take about 1 cup of water in a pan, put the Ginger in it and let it boil. Once it starts boiling, simmer. Once it reduces to about 1/4 cup remove from heat. Let it cool. Once it cools, add a tablespoon of honey. And consume it. You can consume it while it is hot, but drinking anything hot while you are experience discomfort due to acid reflux is not a pleasant thing. Plus adding honey to anything hot might disturb its properties. 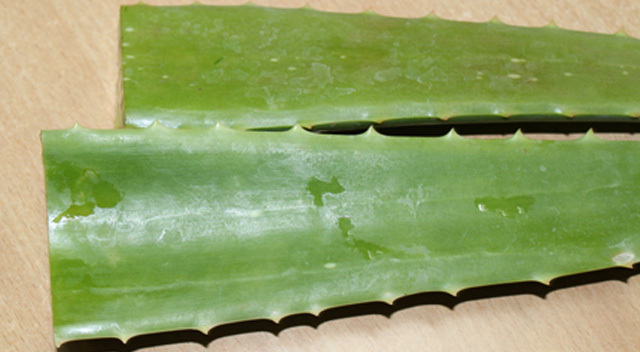 Aloe vera is great to treat inflammation. And this will help ease your acid reflux symptom. You will need fresh aloe vera juice. But if you are going to use a store bought juice that is fine too. I have Aloe Vera plant and usually use fresh gel or juice whenever I need one. And for me, Aloe Vera is part of my skin care and hair care routine. It is a nice plant to have at home! To prepare fresh aloe vera juice, cut one or two blades of the plant, wash well, remove the thorny edges on the sides, and cut open any one side. Take a spoon and scoop out the gel. Add about 1/2-1 cup of water and blend well using a hand blender. 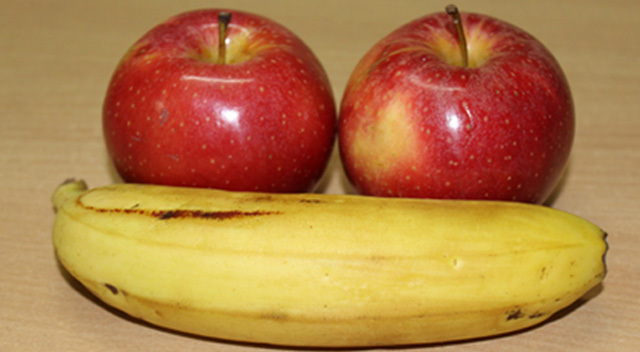 Banana or apple can relieve you from acid reflux. Banana is rich in natural antacids and will be much more effective. Use ripe banana for this purpose. Eat as often you can – you don’t have to overload yourself, though. A few pieces of apple an hour also works great! Now, this is something that most people won’t be comfortable with. You will need 1/2 teaspoon of baking soda. Mix it in 1 glass of fresh water. Stir well, and drink all of it. Since baking soda has a pH above 7, it is alkaline and hence will help resetting the effects of acid in your food path and stomach. You could take this three times a day. But don’t overdo it, since you can irritate the tissues. Huh? Yes you can fight acid reflux while chewing the gum. There is no medicinal property in the chewing gum that will cure your acid reflux. But chewing a gum increases the flow of saliva. After a meal, start chewing a gum and that should ease your symptoms. Don’t eat too much spicy stuff quite often. If you have to, consume some Ginger concoction to promote digestion. Instead of eating 2 or 3 big meals a day, eat 5-6 small meals. This will make it easier for your stomach to digest. Don’t lie down immediately after a meal. Especially dinner. Allow at least an hour after the meal before you go to bed. Avoid alcohol and smoking since they majorly induce heart burn. Avoid carbonated drinks especially after a meal. Acid reflux is something that could make you extremely uncomfortable. It will also prevent you from eating food – due to nausea and the discomfort, once you have acid reflux it is much harder to consume food. If you get acid reflux symptoms occasionally, you can use any of the above mentioned home remedies. They work great. But if you find that you get acid reflux very often, you should consult a doctor since this could signal a major health problem.